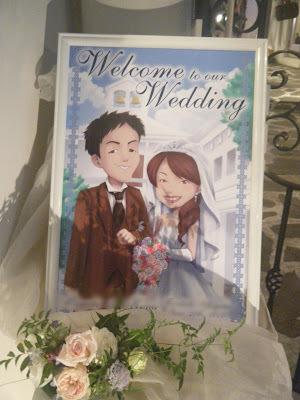 A commission for a welcome board for a Wedding Ceremony! 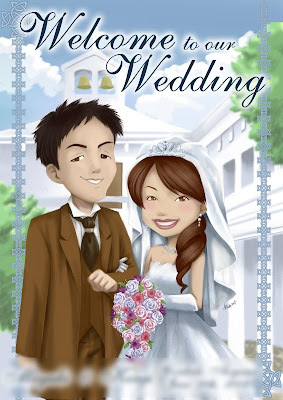 A caricature of the Bride/Groom, with the chapel BG, and Text layout for a poster-size printout. Hey...I heard about your engagement. Congrats!